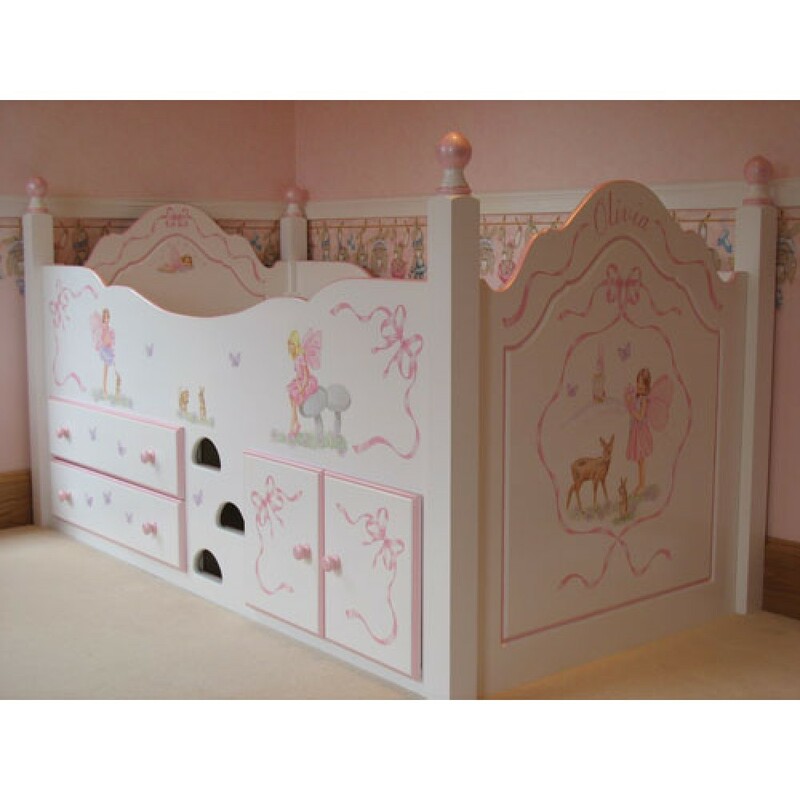 Cabin bed for girls with posts. Sweet dreams are made of this! Hand painted with Clemma artwork by Andrew. Bed is white with pearlised pink trim colour. Pink ribbons and bows add the detail as only Chartley know how! The hand painted castle on the end of the bed is to match Olivia's bedside lamp - mummy sent us the image so it could be included. The prettiest cabin bed on the internet!